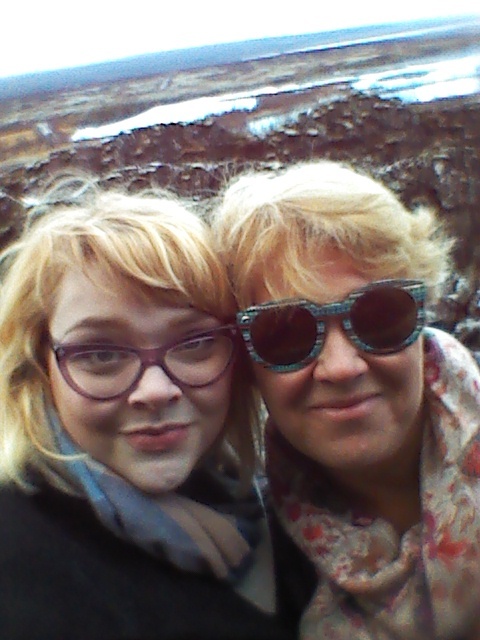 Hannah and I are going on a coach tour today we had booked a small company for a tour of the Reykjanes pennisula but it was cancelled at the last minute due to us being the only clients. So we are going with the Reykjavik Excursions and it is the full size Highland coach and this trip is full. It is snowing pretty heavy as we reach Geysir and I would not want to be in a little rental car. The bus is slipping in the slush. 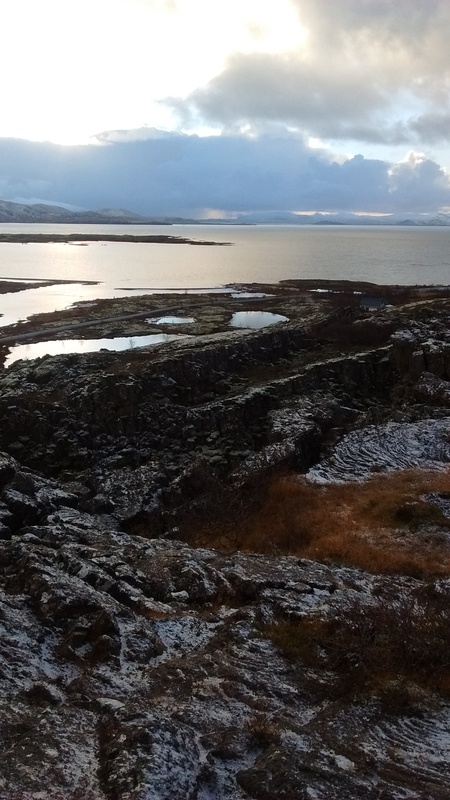 Our guide is great and he is full of little facts about Iceland but I can’t help the fact that deep down inside I hate these sort of coach trips. 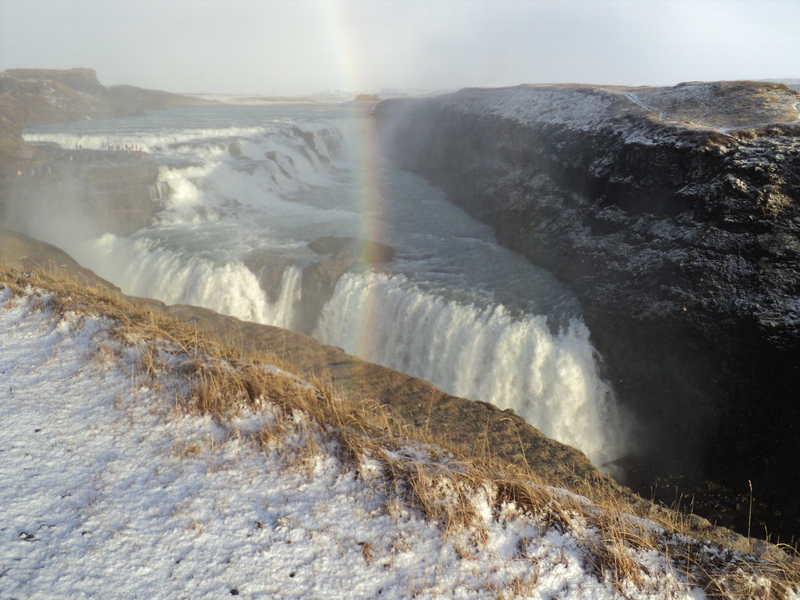 We have about a hour at Gullfoss to hike down the wooden stairs to the falls. A lot of the passengers opt out of going the whole route as it is quite a lots of stairs and they are nicely coated in ice. 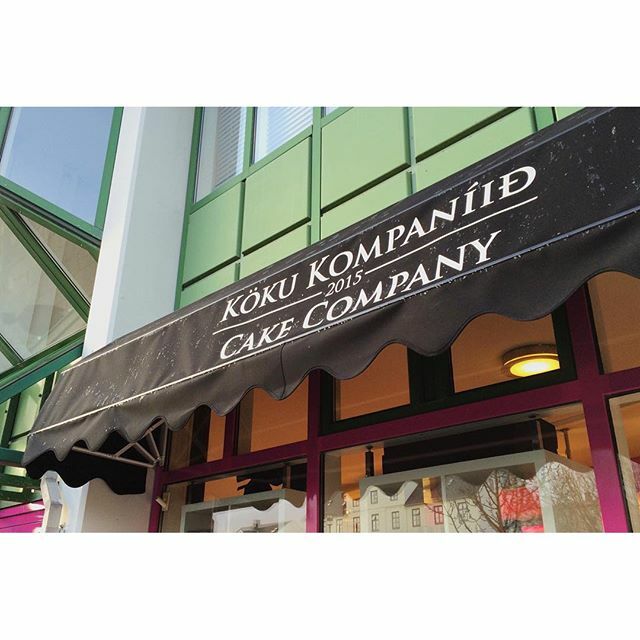 On our way back to the city we asked to be dropped off in town and head to our new favorite cafe the KOKU KOMPANIID /Cake Company. 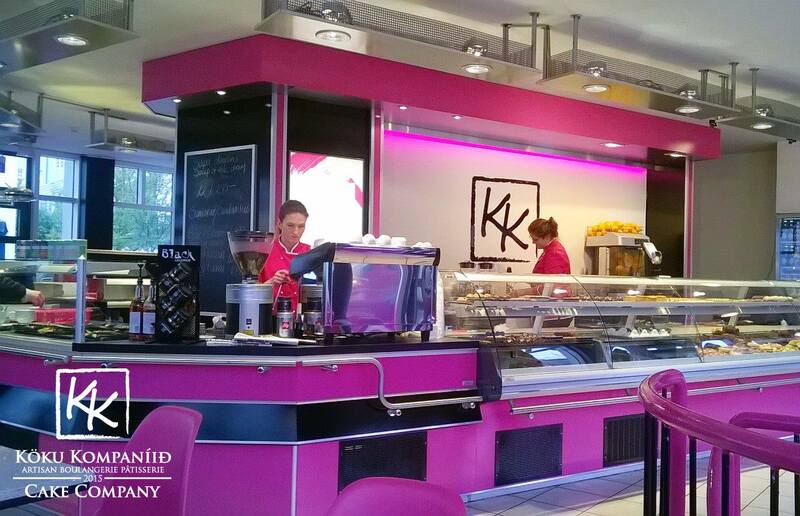 I love love love their pastries and swiss mocha. I think this new cafe will do well. It is only 3 weeks old and the atmosphere is cool and trendy. Were both loving the bright pink interior. I booked tickets to a concert tonight at Harpa, it features a violinist Baiba playing Beethoven and the Icelandic Symphony orchestra . The concert hall is right across the street from our hotel so we don’t even need coats. 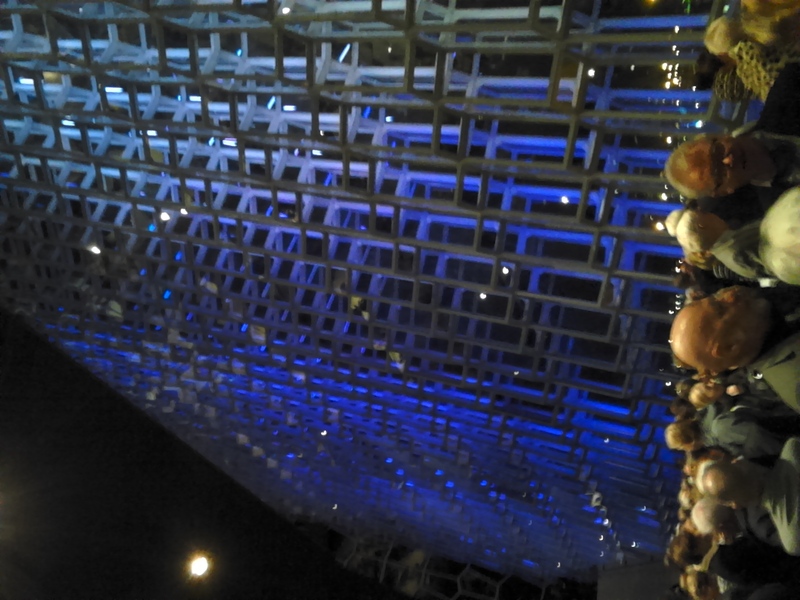 I booked our tickets on the Harpa website before we came. They were a amazing deal at $23.00 each. We arrive early and it is a great chance to people watch. Icelandic people are so well dress and have the most amazing shoes. Even ladies in their 70s wear funky shoes. The concert is wonderful, the second half was my favourite, I think I can safely say it was the most enjoyable classical concert I have ever been to. The pieces that were played reminded me of movies like Breakfast at Tiffany’s and Disney’s Fantasia. 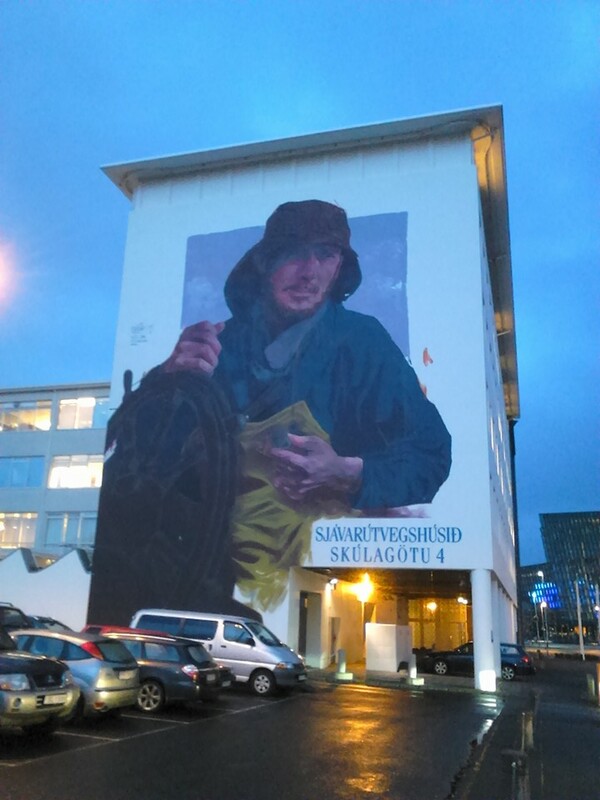 This entry was posted in Iceland and tagged Baiba, Geysir, Gullfoss, Harpa, Koku Kompaniid, pEACE TOWER, Rekyjavik excursion, Reykjavik card, videy island. Bookmark the permalink.